Clean your stylus with ease with the Zerodust stylus cleaner. Simply lower your stylus onto the surface of this space-age polymer bubble, then quickly lift the arm lever, and you’re done! Watch as the stylus tip slowly sinks into the baby-soft surface, leaving behind an impression with stylus debris left behind. This fresh approach to stylus cleaning saves you from the fear of using hard-bristled brushes and over-applying harmful fluids. 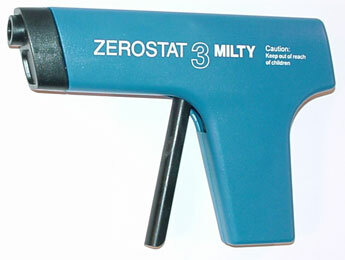 Zerodust lasts a long time, can be cleaned with tap water, and adds hours of life to your cartridge. It will also preserve the life of your stylus. It even comes with a magnifying glass so you can inspect your stylus. What’s not to love? The DF-2 is an upgraded version of the original DFV-1. MKoM is pleased to offer LP Flattening service using the DF-2. Audio Desk Systeme, Reiner Glass’ German-based company, specializes in LP and CD cleaning equipment. The cleaning process within this design uses ultrasonic frequencies that create micro-bubbles and minute liquid jets that enter the grooves and literally blow out contaminants. The ADS cleaner brings out more life from my records, with noticeable reduction of surface noise. Most ticks and pops are gone. I continually hear details previously hidden within the grooves. Reduced surface noise also enables higher listening volume that comes without the audible negatives that have always been vinyl’s Achilles heel. 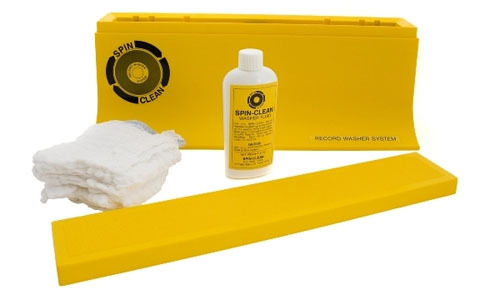 In the true sense of set it and forget it, this is the most user-friendly record cleaning system we have ever used. 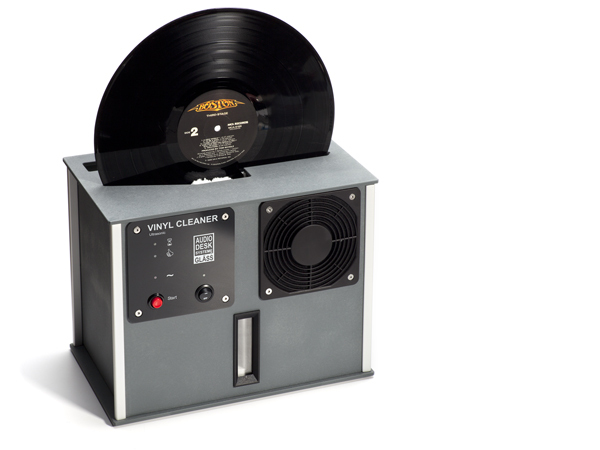 Is the ADS vinyl cleaner the answer to your analog prayers? If you have a large collection of new and/or used LP’s, your investment already far exceeds the cost of ownership. The answer, then? A resounding yes! Destat Removes Static and Dust for a quiet background. It significantly lowers the noise floor greatly resulting in a musical & refined presentation. The Destat II is an updated version of the original Destat device and features an improved ion flow generator which uses more emitters than in the previous version. The Furutech DeMag completely demagnetizes LPs and optical disc media such as CD, CD-R, DVD, MD, Game CD, Photo CD, SACD, and DVD Audio. Plus it’s an indispensable accessory for keeping interconnect cables, connectors and power cords demagnetized to prevent magnetic signal distortion. Dear customer, first of all let us thank you for your confidence in our products. 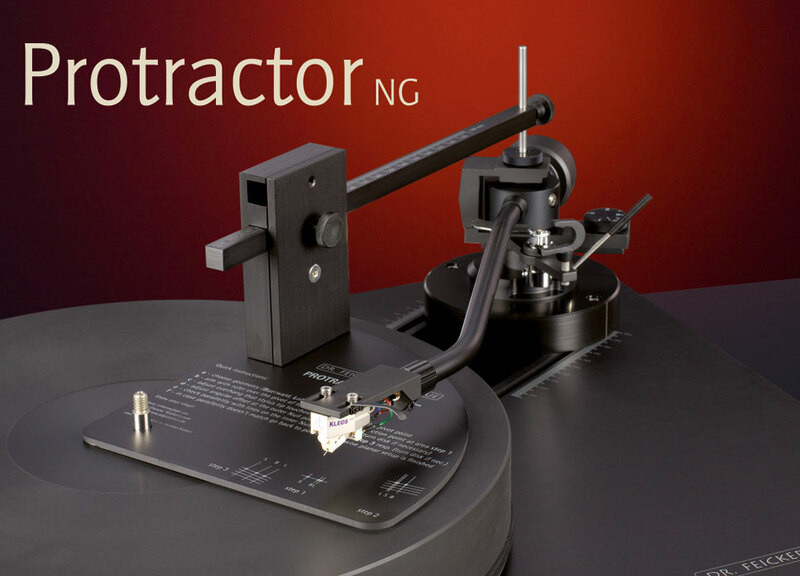 The Protractor you hold in your hands is a precision device that enables you to adjust cartridges and tonearms with an effective length from 8,6 up to 17,7 inches for correct overhang and offest. The calculation of parameters were carefully carried out according Lofgren’s (frontside) and Baerwald’s (backside) equations aiming in reduction of the overall RMS distortion level caused by deviations from the perfect linear tracking position of your cartridge. Please read this manual carefully to have full benefit from this unique tool. 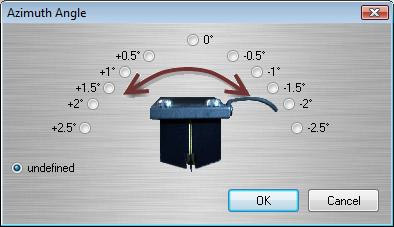 In terms of perfect azimuth calibration we reffer to our innovative software ADJUST+ (www.adjust-plus.com). The general geometrical correlation of a tracking device based on a fixed pivot point are well known since the fundamental publications of Baerwald and Lofgren back in the first half of the 20th century. The conclusion of both papers was that such a tracking device must have an angular offset with a defined overhang. The offset and the overhang vary with the effective length of the tonearm itself. While tracking the record the stylus matches tangential position in the groove in two points – the inner and outer Null points (linear tracking position). From the moment the stylus hit the groove, the differences were mind boggling. Everything from top to bottom was clearer, better defined, with dramatically less noise and grain. The client raved about it the improvements and continues to say how it’s almost as if he’s hearing each record again for the first time. He laughed, saying he never would have deliberately put the cartridge and arm at a funny angle like that, but sure enough he heard the difference right away. Every client has said the same things. We’re batting 1.000! Whether the perfect azimuth setting for your system is as little as a few tenths of a degree from where it is now or even more than what’s shown in this example, you’ll hear the improvements time and again. Your favorite records will last longer, and so will your stylus. It’s truly the biggest bang for the buck improvement you can make to your system. Your ears will thank you! 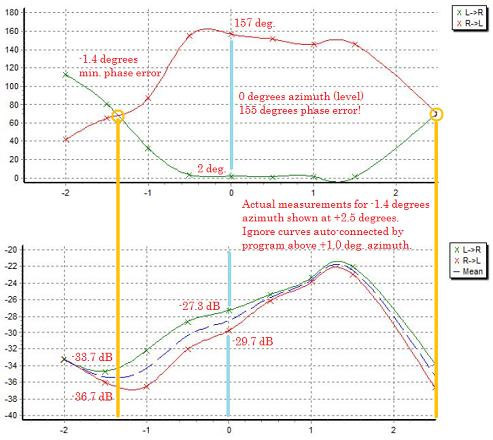 The graphs above, generated by the software program, show the phase response (upper graph) and crosstalk (lower graph) measurements taken for different azimuth angles (shown on the horizontal axes). The light blue vertical lines highlight the measurements taken at zero degrees azimuth angle, the initial setting, while the yellow vertical line toward the left side of the graphs highlights the measurements taken at the optimum azimuth angle of -1.4 degrees. Because the software program is configured for azimuth angles in 0.5 degree steps, for measurements at the final azimuth setting of -1.4 degrees we “pretended” to the program that the azimuth was at +2.5 degrees — a region that’s not of interest since crosstalk is increasing for positive azimuth angles and phase error is relatively unchanging. Our award-winning TuneBlocks bring the many energy absorption benefits of pure carbon to a wide variety of applications – including CD / DVD players, preamps, power conditioners, turntables, amplifiers and speakers. 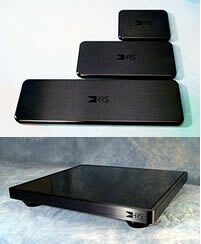 The Mat 1 and Mat 2 are pure carbon record mats praised by audiophiles worldwide. Whether you own a Linn, VPI, Rega, Acoustic Signature, Clearaudio, Nottingham or almost any other turntable, our record mats are one of the most cost-effective upgrades you can make to your system. A “Must Have” for Analogue lovers. 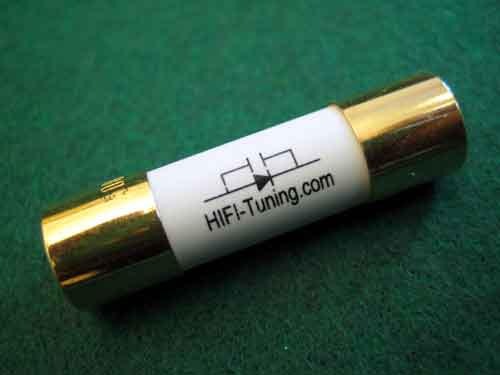 A vital component to bring out the very best from Phono Cartridges. Manufactured in Pittsburgh, PA and priced at just $79.99 CAD (same price as in the US !) 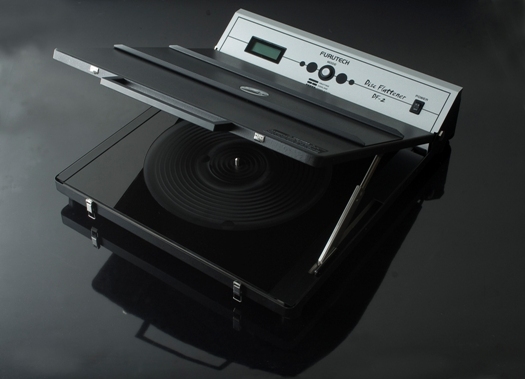 it is the ultimate affordable and easy to use record cleaning device for everyone’s budget. And it really works ! The Black Ravioli system can help you to redefine the performance of your system to levels you would not have though possible and do it in a structured, cost effective way. 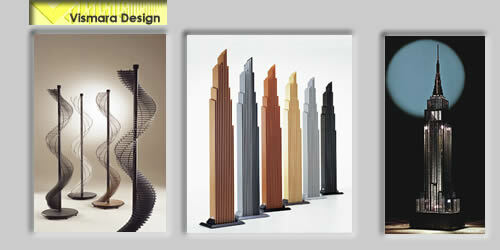 The products function and simple form allows it to be used across a wide range of equipment and system applications. The product must be capable of providing energy conversion that is effective across the discernable audio and visual spectrums and so far as reasonably practicable, their extremes. The product must be capable of dissipating at the equipment interface the vibration energy that is inherent within the system components and the surrounding environment. In performing it’s function the product must not add or take away anything from the event as prescribed by the design and operation of the system componants. The product must be functional and able to be applied to the majority of audio and visual componants. The pads and spacers together are a credible and good value vibration control solution that can be tailored and upgraded to meet individual requirements. Its function before form in this combination. The risers provide further improvements in performance and present the pads in a much more acceptable and polished form. In all of its iterations Black Ravioli performs best when applied as a complete system solution but it can be extremely effective when applied to individual pieces of equipment. Overall the range allows a variety of cost v performance options for the user. 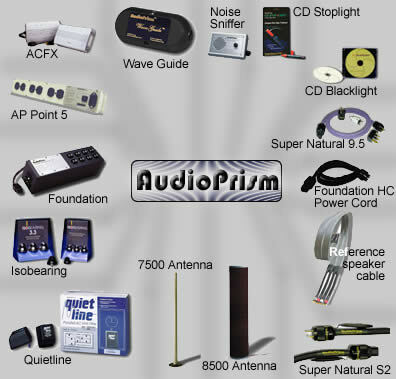 AudioPrism has set new standards for performance, value and design. 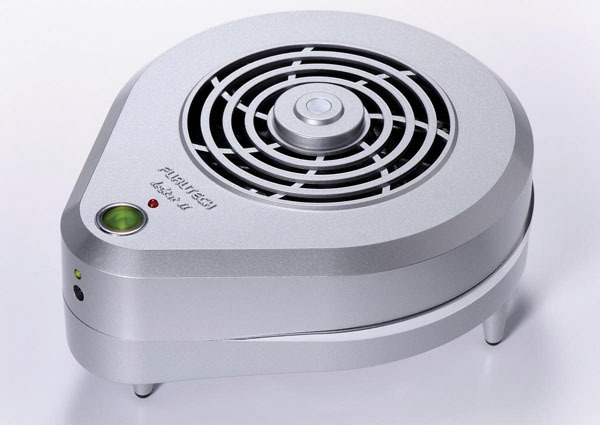 With an innovative series of indispensable accessories and a wide ranging line-up of exceptional power products, AudioPrism continues to provide products that don’t just perform, they out perform…. Harmonic Resolution Systems is dedicated to producing high performance products that will allow you to fully enjoy the experience of accurately reproduced music and video. Their products significantly reduce structural-borne and air-borne vibration over the entire frequency range of any audio/video system. 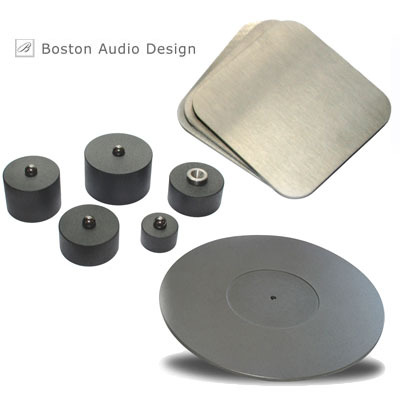 Many years of engineering experience, custom material development, and listening tests have resulted in a product line that enables your audio/video source and amplification components to achieve peak performance. Individually, HRS products produce significant improvements in signal quality as if you had made a significant upgrade to your component. Used as a system, the changes will redefine what you thought was possible. What is Black Diamond Racing? BDR was founded to explore the application of advanced composite materials, such as carbon fiber, to alternative structures. When I was a poor audiophile, I loved tiny tweaks. Without switching out components, I could improve my system’s sound without spending too much money. Bypassing or replacing cheap capacitors, cleaning connections, applying Star typewriter-cleaning gum to vibrating headshells, and other tiny tweaks made memorable sonic improvements. 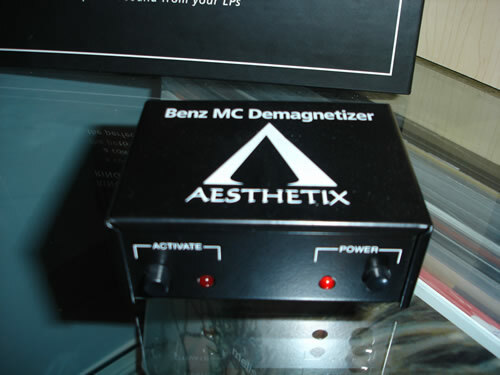 The FOZGOMETER represents a breakthrough for adjusting phono system azimuth. 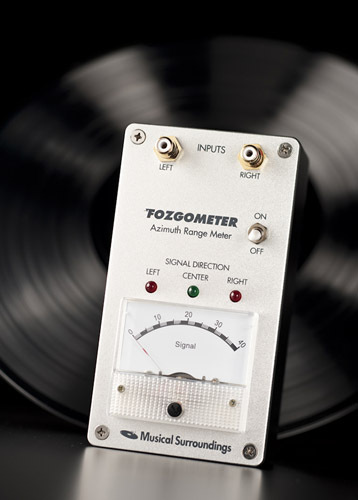 The FOZGOMETER incorporates a “Log Ratio Detector” developed for surround processor steering logic circuits to measure channel separation over a wide range of signal levels down to -70 dB. The readings are virtually independent of overall signal levels, and can be made with a wide range of input signals without effecting accuracy. It is a small portable battery powered unit that is used in conjunction with a test record. 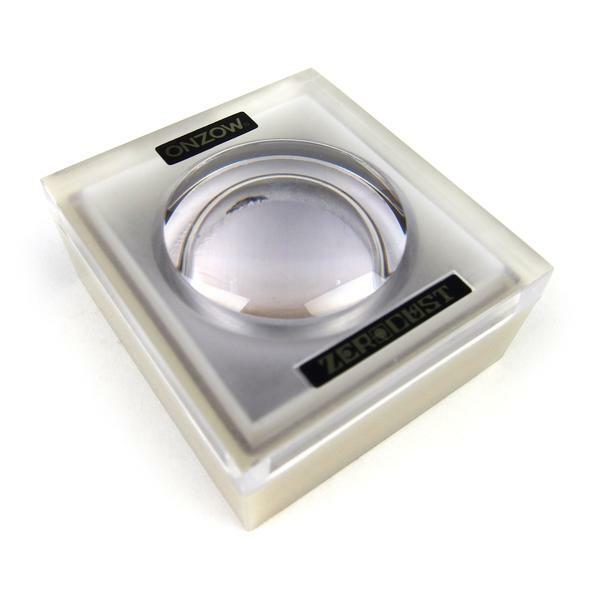 It measures channel separation, channel balance, and signal direction quickly and accurately. Readings are taken without touching the meter, leaving your hands free to work with the tonearm. The meter reads channel separation in both directions, and channel balance. The LED’s indicate Left, Center, and Right signal (test tone) positions. Manufactured to Russian military standards and manufactured to exacting quality control. Call to inquire about NOS arrivals.